Bars, shops, restaurants, shopping centers and main connection point of city transportation (bus terminal in Viru shopping center) are all very close.The apartment is 41.3 m2 has 2 rooms, 1 bedroom with double bed and livingroom with comfortable sofabed for 2 persons. The apartment is equipped with washing machine, fully equipped kitchen, flat screen TV, wireless internet, bathroom with bathtub, hairdryer, iron,balcony. Bars, shops, restaurants, shopping centers and main connection point of city transportation (bus terminal in Viru shopping center) are all very close.The apartment is 53 m2 has 2 rooms, 1 bedroom with double bed and livingroom with comfortable sofabed for 2 persons. The apartment is equipped with washing machine, fully equipped kitchen, flat screen TV, wireless internet, bathroom with bathtub, hairdryer, iron,balcony. Bars, shops, restaurants, shopping centers and main connection point of city transportation (bus terminal in Viru shopping center) are all very close.The apartment is 53 m2 has 2 rooms, 1 bedroom with double bed and livingroom with comfortable sofabed for 1 person. The apartment is equipped with washing machine, fully equipped kitchen, flat screen TV, wireless internet, bathroom with bathtub, iron,balcony. Rotermann Quarter is located in the very heart of Tallinn, between the Old Town and the city centre, in the historical Rotermanni Disctrict – starting point of main travelling roads in Tallinn marks the location as the centre of the city. Bars, shops, restaurants, shopping centres city's main public transportation hub (bus terminal in Viru shopping centre) are all at your elbow. This stylish fully furnished 1-room 28 m2 apartment flows from the entrance area, with private bathroom to the left side, to the living-room with fully equipped kitchenette, dining area and sofa-bed. The flat features a flat screen TV, a washing machine, a dishwasher, a vacuum, an iron and an ironing board, and a hair-drier. Studio-partment at Roseni 10 / Rotermanni 5. This city style fully furnished 2-room apartment flows from the entrance area, with built-in wardrobe and bathroom to the right side, to the living-room with fully equipped kitchenette, dining area and sofa-bed. The private bedroom is to the right side from the living-area. The flat features a flat screen TV, a washing machine, a vacuum, a microwave, an iron and an ironing board, a hair-drier, and other essentials. This stylish fully furnished 1-bedroom apartment flows from the entrance area, with bathroom to the right side and private bedroom with double-bed to the left side, to the living-room with fully equipped kitchen, dining area and sofa-bed. The flat features a flat screen TV, a washing machine, a dishwasher, a vacuum, an iron and an ironing board, a hair-drier, and all other essentials. Bars, shops, restaurants, shopping centres and public transportation (transportation hub at Viru Centre is one stop away) are all at your elbow. This fully furnished 1-room apartment flows from the entrance area, with private bathroom to the right side, to the living-room with fully equipped kitchenette, dining area, double-bed and sofa-bed. The flat features a flat screen TV, a fridge, a washing machine, a microwave, a vacuum, an iron and an ironing board, a hair-drier, and other essentials. 1-bedroom apartment at Tornimäe 7. This fully furnished 2-room apartment flows from the entrance area, with private bathroom to the left side, to the living-room with fully equipped kitchenette, dining area and sofa-bed. The private bedroom with a double bed is to the right side from the living-area. The flat features a flat screen TV, a fridge, a washing machine, a vacuum, an iron and an ironing board, a hair-drier, and other essentials. 2-bedroom city apartment at Tornimäe 7. Bars, shops, restaurants, major shopping centres and public transportation (transportation hub at Viru Centre is one stop away) are all at your elbow. This fully furnished 3-room apartment flows from the entrance area, with private bathroom and two bedrooms with twin-beds to the left side, to the living-room with fully equipped kitchen, dining area and sofa. The flat features a 40" flat screen TV, a fridge, a dishwasher, a washing machine, a vacuum, an iron and an ironing board, a hair-drier, and other essentials. 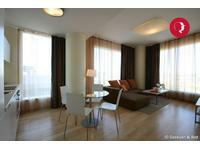 This 53 square metre apartment is in a walking distance ofTallinn Harbour and the Old Town. It is equipped with double bed (2) and sofa bed (2), TV, wireless internet, bathroom, bedroom, open plan kitchen and living room, central heating, lift, sauna, shower, washing machine, stove, dishwasher, microwave. We are pleased to offer for let this cosy 1-bedroom apartment in the centre of Tallinn - just 10 minute walk from both Old Town and Kadriorg Park. This fully furnished 2-room apartment flows from the entrance area, with private bathroom to the right side, to the living-room with fully equipped kitchen, dining area and sofa-bed. The private bedroom with a double bed is straight from the entrance area. The flat features a flat screen TV, a fridge, a washing machine, a dishwasher, a vacuum, an iron and an ironing board, a hair-drier, and other essentials. Plus there is a balcony and possibility to park. 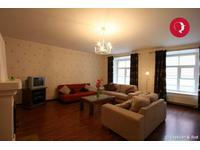 We are pleased to offer for short term let this 2-bedroom apartment in Kesklinna city district. 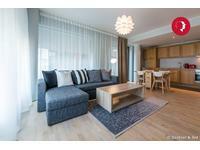 5 minute walk from the main Tallinn shopping center Viru Keskus. The accommodation sleeps up to 4 people and features bathroom, two bedrooms with double beds in each bedroom, kitchen and living room, large bathtub and a separate shower. 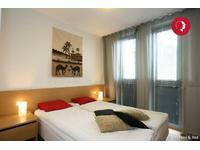 This cosy yet modern accommodation features bedroom with wide double bed, bathroom, living room, kitchen and sauna. We are pleased to offer for let this fabulous and extremely spacious 2 bedroom apartment in Old Town - just few minutes away from Town Hall Square (Raekoja). The accommodation can fit up to 4 people and it features hallway, living room, kitchen, bathroom, two bedrooms and a bathtub. 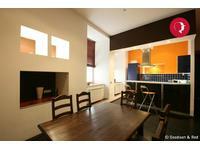 Modern and cosy studio apartment not far from the city centre in a new and modern building. 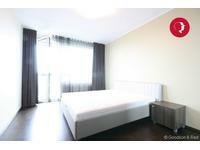 Security deposit (lease period 6 months and more): 2 month's rent (payment in 2 parts is possible). 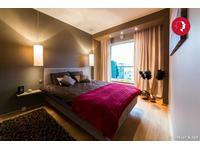 This modern 1 bedroom apartment for long term rent located on the 6 th floor of a 7 floor neq and high quality building. The apartment features bathroom, bedroom, living room and kitchen, big balcony, bathtub, elevator, washing machine, dishwasher, fridge freezer, open kitchen. Prices do not include: utilities, maintenance bills. Security deposit: 2 month's rent (payment in 2 parts). Prices do not include: utilities, maintenance bills, internet connection, Digi-TV. 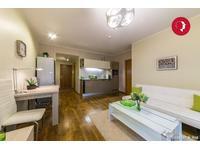 Spacious and bright living room has amazing panoram view over Tallinn. 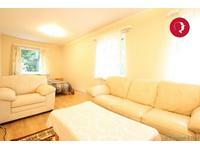 The accommodation features bathroom with sauna, two bedrooms, reception room, dining room, kitchen and a study. The current appearance of the house dates back to 18th century. The house is actually from 1367. During years 2000 to 2002 the house was fully renovated and in 2002 it was presented with an award for the most accurately renovated historical house in Tallinn. During the renovation in 2001 the whole technical spectrum of the house was renovated as well including plumbing and wiring. Reception room and the study have a stone fireplace. All of the rooms are furnished. Security deposit: 2 month's rent (payment in 2 parts is possible). 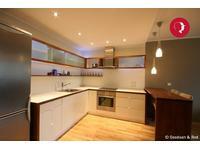 2nd floor - entrance hallway, reception room, kitchen - dining room, WC, bathroom with sauna, hallway. Penthouse floor - hallway, WC, 2 bedrooms and study.